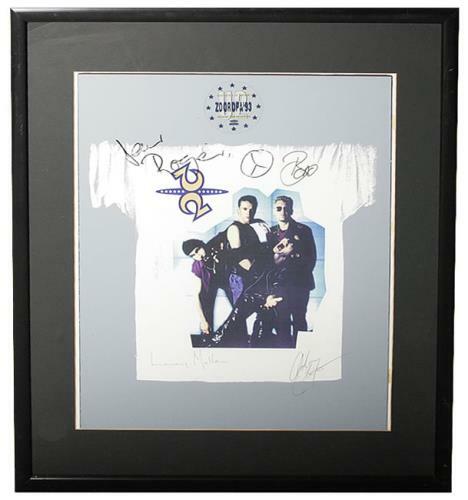 U2 Zooropa '93 (1993 UK official merchandise print fully AUTOGRAPHED by all four band members with 'U2 Zooropa '93 Exclusive To Retail' sticker on perspex glaze along with the message 'Dear Roger,' [Roger was part of the merchandise team] in black marker pen. Beautifully framed& glazed in a 25" x 21" black frame and ready for hanging! ).